New York/Addis Ababa, 22 May 2014 – A ground-breaking series of papers released by The Lancet at UNICEF Headquarters today shows that the majority of the almost 3 million children who die before they turn one month old could be saved if they received quality care around the time of birth – with a particular focus on the most vulnerable and under-served. New-born deaths account for a staggering 44 per cent of total mortality among children under five, and represent a larger proportion of under-five deaths now than they did in 1990. These deaths tend to be among the poorest and most disadvantaged populations. According to UNICEF, 2.9 million babies die each year within their first 28 days. An additional 2.6 million babies are still-born, and 1.2 million of those deaths occur when the baby’s heart stops during labour. The first 24 hours after birth are the most dangerous for both child and mother – almost half of maternal and new-born deaths occur then. The Lancet’s Every Newborn Series identifies the most effective interventions in saving new-borns, including breastfeeding; new-born resuscitation; ‘kangaroo care’ for premature babies – that is, prolonged skin-to-skin contact with the mother; and preventing and treating infections. More funding and adequate equipment are also vital. Countries that have made the most progress in saving new-born lives have paid specific attention to this group as part of the overall care extended to mothers and under-fives. 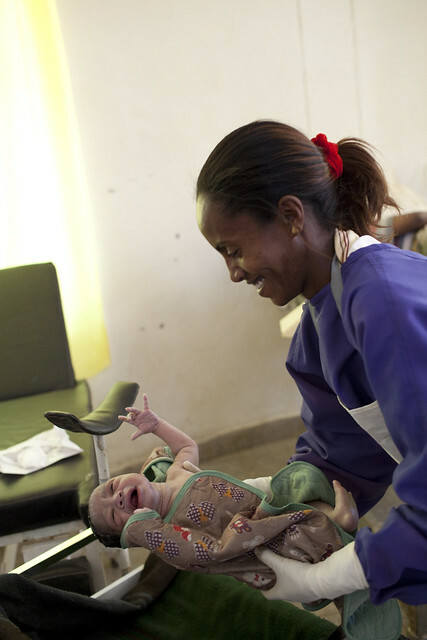 Rwanda – alone among sub-Saharan African countries – halved the number of new-born deaths since 2000. Some low and middle-income countries are making remarkable progress by, among other methods, training midwifes and nurses to reach the poorest families with higher quality care at birth, especially for small or ill new-borns. 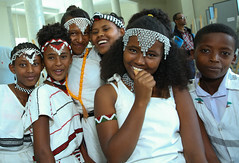 In Ethiopia, Neonatal Mortality Rate (NMR) has reduced from 54 in 1990 to 29 (per 1000 deaths) in 2012 according to the Inter-agency Group of Child Mortality Estimation 2013. To increase access, the Federal Ministry of Health has committed to the improvement of services based on the Health Sector Development Programme (HSDP) including the construction of 800 district hospitals (one per each woreda (district)). At present, over 120 hospitals are providing comprehensive emergency obstetric and neonatal care (CEmONC) services including caesarean sections, blood transfusions and emergency laparotomy for the entire population of the country. A survey of 51 countries with the highest burden of new-born deaths found that if the quality of care received by the richest were to become universal, there would be 600,000 fewer deaths per year – an almost 20 per cent reduction. The highest numbers of new-born deaths per year are in South Asia and sub-Saharan Africa, with India (779,000), Nigeria (267,000) and Pakistan (202,400) leading. For the highest burden countries, every $1 invested in a mother’s or baby’s health gives a nine-fold return on investment in social and economic benefit. UNICEF and World Health Organization will roll out next month the Every Newborn Action Plan which aims to end preventable maternal and child deaths by 2035. Lancet’s Every Newborn Series is co-authored by experts from UNICEF, the London School of Hygiene and Tropical Medicine, and the Agha Khan University, Pakistan, among others. The Universal Declaration of Human Rights enshrines education as a basic right for children. Education is key to achieving the MDGs, as well as to the attainment of the civil, cultural, economic, political and social rights of every child. While governments in the developing world are doing their best to increase enrolment in primary education, there is still a long way to go when it comes to improving learning outcomes and the quality of education. 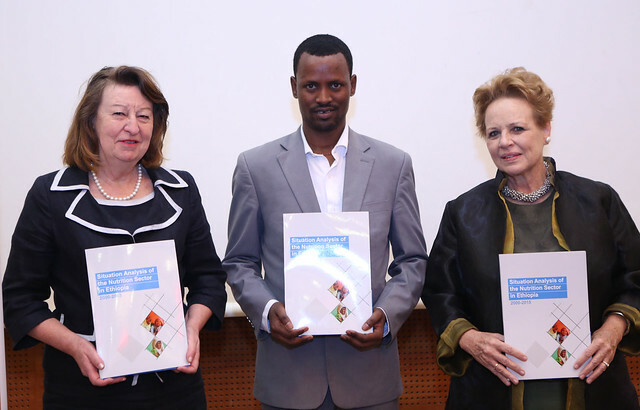 The 11th Education for All Global Monitoring Report, launched in Addis Ababa on the 29 January 2014, provides some alarming figures, which call for the attention of all stakeholders involved in the education sector. The report reveals that poor quality education is costing governments US$129 billion a year. It also indicates that in many of the sub-Saharan African countries, only “one in five of the poorest children reach the end of primary school having learnt the basics in reading and mathematics.” If we are not able to address the problem of poor quality education, it will take another century for all girls from the ‘poorest families in sub-Saharan Africa to finish lower secondary school”. These findings are not acceptable at all. If poor quality education is costing governments billions of dollars and if it is leaving millions of children behind, then what should be done? The Education for All Global Monitoring Report findings explicitly indicate that it is important to provide teachers with adequate training. Moreover, making teaching quality a national priority yields positive results. 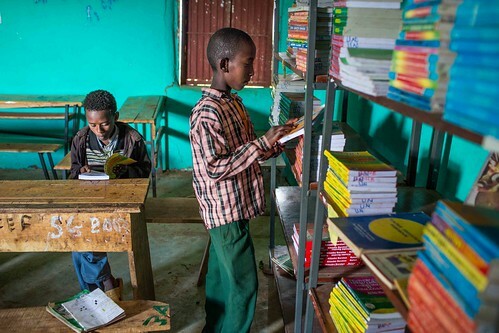 Countries such as Ethiopia, Mozambique and the United Republic of Tanzania for instance include improving quality and learning outcomes as an explicit priority alongside expanding access. Countries need to expand their teachers force and put in place mechanisms in which incentives will be provided to retain the best performing teachers. Ensuring the equitable distribution of teachers within countries has been a major challenge for many years, although some examples of effective policies are emerging. Poor children, especially girls in more remote areas, as well as children in informal urban settings are often the most affected by lack of access to competent teachers. These same children are the most likely to drop out of education according to evidence gathered by UNICEF and the UNESCO Institute of Statistics through the global Out of School Children Study Initiative. Even if they do not drop out they are the most likely to have poor learning outcomes according to global surveys such and the findings of regional surveys such as those of the Southern African Consortium for Measuring Education Quality. The learning needs of children with disabilities and those affected by emergencies also need to be much better served. Teachers are a key component of quality education. Others are access to quality teaching and learning materials, school management, quality assurance, assessment and the curriculum. The curriculum should be relevant to the learner and delivered through a familiar language in early primary school if children are to attain the foundational skills required for life long learning. School infrastructure is also important, not least the provision of separate latrines for girls and boys – a goal to which UNICEF is very committed in its holistic vision of Child Friendly Education. Life-long learning and the development of core skills for employability are critical imperatives in the development of individuals and nations. Early Grade Reading Assessments in many countries have demonstrated that many children are fated to long term illiteracy because they have not developed and may never develop these foundational skills. More attention should therefore be given to early childhood development and the prioritisation of early primary in terms of resource allocation. We have done much together as partners to address enrolment issues, and more remains to be done here. However there is now a global consensus that education without learning is of limited value. We are now committed, alongside our partner to putting much more emphasis on innovative ways to enhance the learning of all children to help overcome the global learning crisis which disproportionately affects the poorest children. 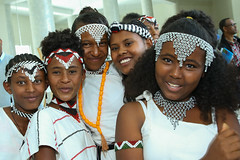 UNICEF has education programmes and experts on the ground in 20 countries in Eastern and Southern Africa. We support governments, preferably within the framework of sector wide approaches, to enhance equity and quality in all these countries. We also work closely with other partners, including UN sister agencies, not least UNESCO, other multi-laterals, various donors, civil society and the private sector (including the Schools for Africa initiative). The African Union and sub-regional bodies such as the EAC, IGAD and SADC are key partners. UNICEF is a very active member of the Association for the Development of Education in Africa, for which we recently developed two key papers on Teacher Education. 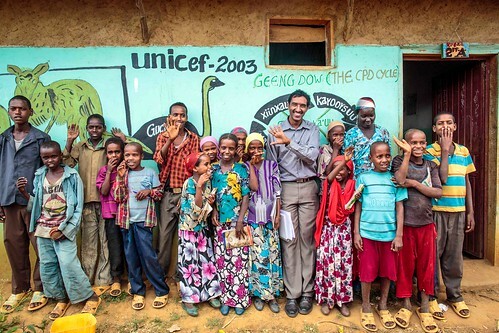 A key focus for UNICEF is now on helping government to ensure that policies and plans actually work and impact on realities in schools and children. The development of national minimum standards for all children is a critical area where we have engaged, as is the enhancement of learning assessment, including membership of the global Learning Metrics Task Force and support for SACMEQ. But setting standards is not enough in itself. Quality development is required. Addressing teacher education and management issues on the ground is critical in this regard. UNICEF has supported teacher education in most of the countries in which we work in Eastern and Southern Africa. Results based management means that we talk of inputs, outputs and outcomes. But what really counts in the classroom is the process of learning. A committed and competent teacher is critical to this process. Sadly didactic teaching is the norm in many countries. This also helps explain the learning crisis. 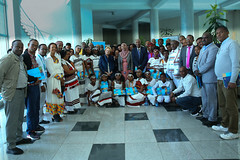 Notable recent examples of UNICEF support to governments on teacher issues are: development of an in-service training system and programme in Tanzania; enhancing co-ordination and mentoring in the teacher education system in Uganda, support to the training for teachers who work in the Alternative Basic Education system in Ethiopia. Our work with the Global Partnership for Education has also reinforced our focus on teacher education in countries like Zimbabwe, Somalia and South Sudan for example. UNICEF is also committed to enhancing the evidence base on what works in teacher education. Examples of previous publications are given below. UNICEF is committed to enhancing its contribution to enhanced teaching and learning through strengthening partnerships at all levels – sub-national, country, regional and global through supporting innovative, scalable approaches to promote learning, not least for the most marginalised child. We are committed to working more closely with partners to ensure that systemic bottlenecks that affect actual service delivery on the ground are addressed and that we actually meet children’s and teachers needs and improve learning through enhancing classroom environments and processes. ACKERS, J., & HARDMAN, F. 2001. “Classroom Interaction in Kenyan Primary Schools. Compare” in: A Journal of Comparative and International Education. 31 (2), 245 – 261. HARDMAN, F. ACKERS, J. O’SULLIVAN, M. and ABRISHAMIAN, N. 2011. “Developing a systematic approach to teacher education in sub-Saharan Africa: emerging lessons from Kenya, Tanzania and Uganda” in: Compare: A Journal of Comparative and International Education. 41, 4, pp. 1 – 17. Great progress has been made to prevent mother-to-child (MTC) transmission of HIV, a lentivirus that causes the lethal disease AIDS with no cures at present, with more than 850,000 infants being saved from the virus infection between 2005 and 2012, said a UN report. The new 2013 Stocktaking Report on Children and AIDS, released Friday by the United Nations Children’s Fund (UNICEF) ahead of Sunday’s World AIDS Day, showed that some 260,000 children were newly infected with HIV last year, compared to 540,000 in 2005. “These days, even if a pregnant woman is living with HIV, it doesn’t mean her baby must have the same fate, and it doesn’t mean she can’t lead a healthy life,” said UNICEF Executive Director Anthony Lake. 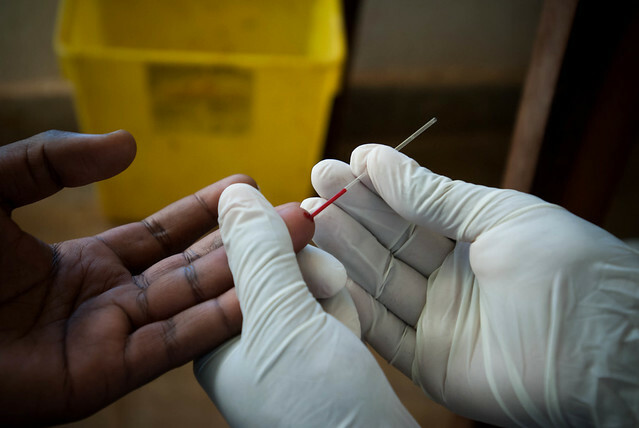 According to UN figures, some of the most remarkable successes were in high HIV burden countries in sub-Saharan Africa.